Hotel Parilti is one of the most distinguished hotels situated at Ortakent- YahÅ?i YalÄ±, a beach on the Bodrum peninsula awarded the Blue Flag by the European Environment and Educational Foundation for its compliance with superior standards of environmental protection. 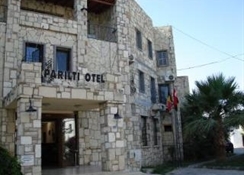 Hotel Parilti is situated in the mandarin gardens, and 100 meters to the beach. 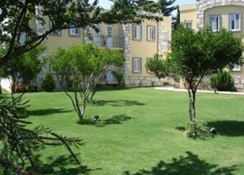 The Hotel has a private place on the beach where guests can enjoy & relax. 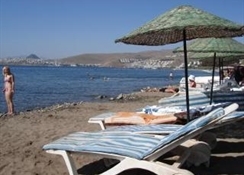 The umbrellas, sun beds and mattresses are free of charge on the beach for guests. 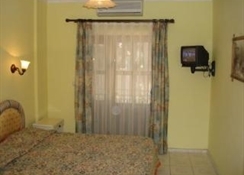 The Hotel offers comfortable rooms with the facilities of have split air conditioning, a balcony, satellite channel television, direct telephone, hairdryer, shower/ WC. Other facilities at the hotel includes a swimming pool with umbrellas & sunbeds, restaurants, bar & animation with DJ music. All imported alcholic & non-alcholic drinks, all bottled or canned drinks, energy drinks, fresh fruit juices, Turkish Coffee, telephone, billiards, doctor & wireless internet are separately charged.